Our son, Brandon, suffered with eczema just before he turned 1 year old. It first started with his cheeks and then on his chin. It was the worst I've seen. I was really worried for our little one and our doctor sent a referral to see a specialist/dermatologist. To keep Brandon's eczema under control, we tried various corticosteroid cream medications. I was recently introduced to Pure Hazelwood a company that specialize in natural healing products for our health and wellness. Hazel wood is very rich in polyphenols, molecules known for their antioxidant, antibacterial and anti-inflammatory effects, providing natural relief for skin conditions such as eczema, heartburn, joint pain, baby's teething pain, and more. After learning about the benefits, I thought I'd give it a try for my son. 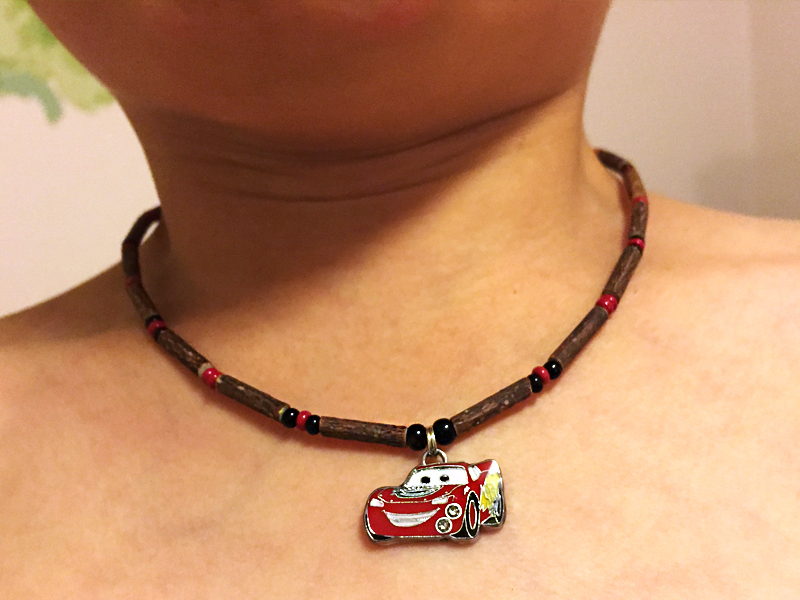 I let him choose the necklace design of his choice from Pure Hazelwood's website. 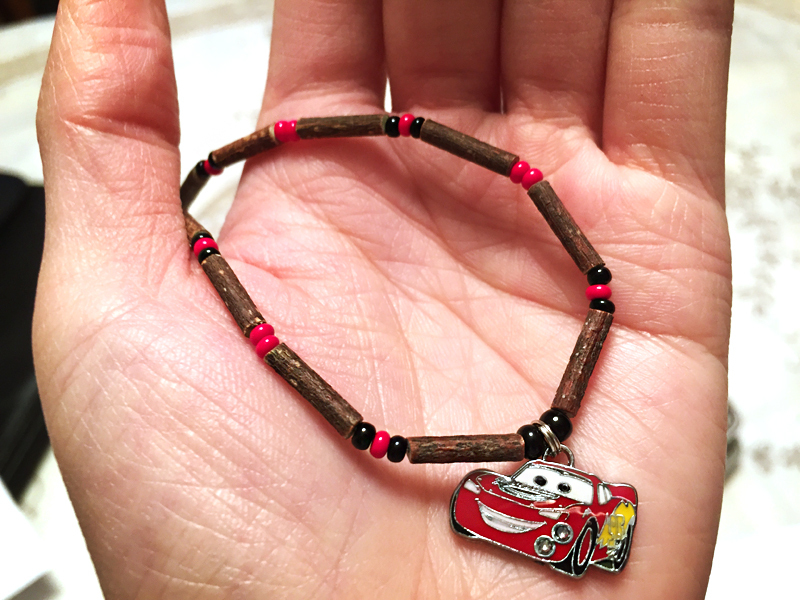 He chose the hazelwood necklace with Disney Cars Lightning McQueen pendant. There are other limited character pendants available that children can choose from. For more than six years, Pure Hazelwood has been conducting scientific research and is now able to demonstrate that the hazel wood is very rich in polyphenols, molecules known for their antioxidant, antibacterial and anti-inflammatory effect. Our son has been wearing the necklace for almost 2 weeks now. It has eased his eczema symptoms a bit. His redness and itchiness has reduced. It gets really bad during the dry winter season, but I am very happy with the results so far as his skin is getting better. Hopefully in the next week or so, I won't have to use any medicated lotion. So far, Brandon really loves wearing his hazelwood necklace. WHERE TO BUY: Pure Hazelwood jewelry and other products are available for purchase at www.purehazelwood.com. 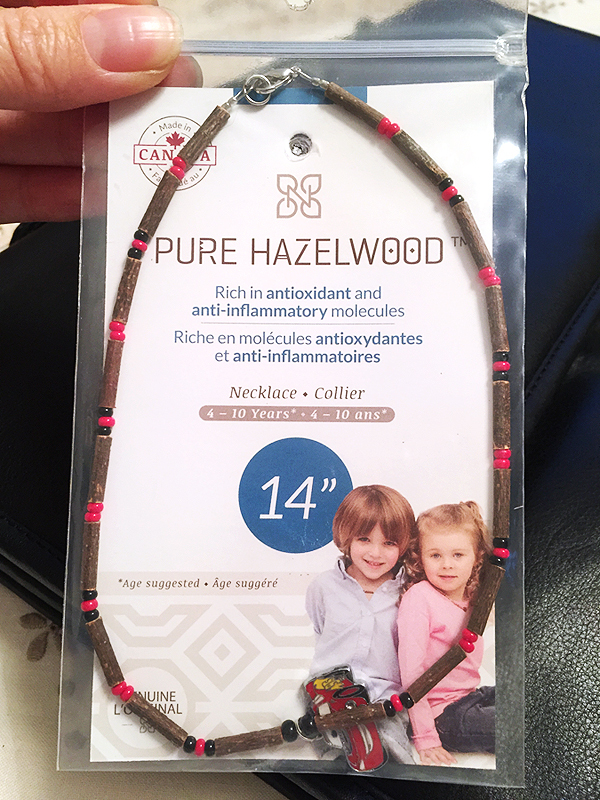 The Pure Hazelwood line offers necklaces, bracelets, and anglets available for the whole family. Unlike anti-inflammatory drugs, wearing wood jewelry has no side effects. You can take advantage of the current Black Friday promotion (that runs between Friday, Nov. 27 to Monday, Nov. 30, 2015) where you can save 30% off + FREE shipping! THREE (3) lucky winners will have a chance to win PureHazelwood Prize Packs, valued at $100. Contest is open to Canadian residents only, excluding Quebec, 18+ (ends December 16, 2015 at 12am EST). Winner will have 48 hours to respond to claim their prize. Good luck! Disclosure: We received the above mention product at no charge from the Company/PR Firm in exchange of our honest review in this post as part of the Pure Hazelwood Ambassador Program on behalf of Influence Central. My opinions are my own and may differ from those of other consumers. No other compensation was given.